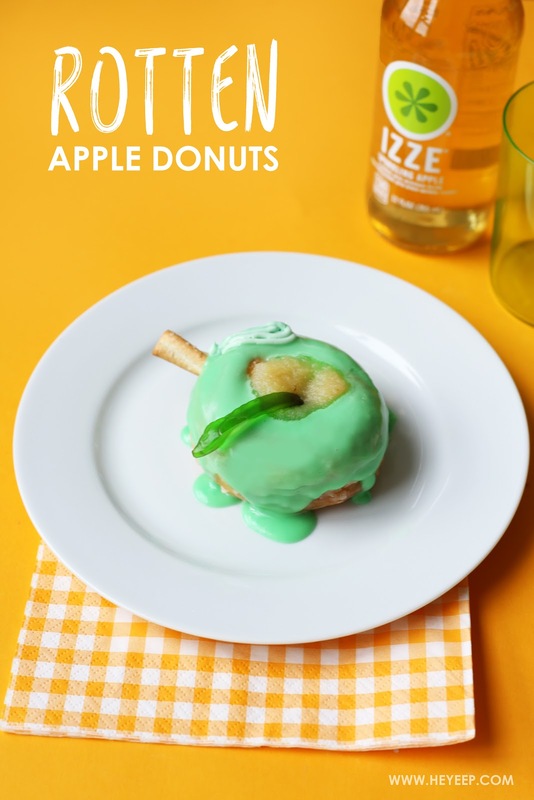 Rotten Apple Donuts / Hey, EEP! I love when IZZE asks me to come up with spooky and simple ideas for Halloween! Last year I made these BOO-zy jello shots. This year, life is busier and crazier. I'm sure a lot of you can relate! So I thought we should come up with a super-duper easy Halloween dessert that you can literally make in minutes. 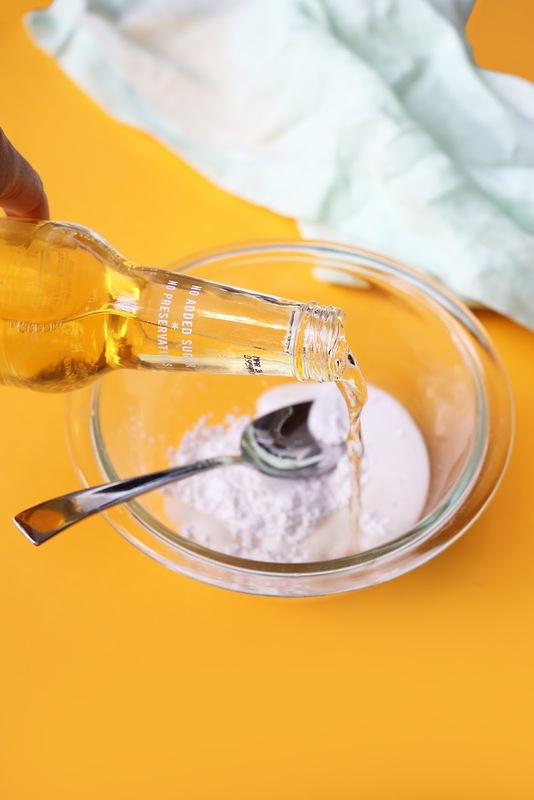 I'm talking "make-it-after-work-on-Tuesday-night" easy—and that's exactly what this recipe is! Start with store-bought donuts. They can be whatever flavor you'd like; chocolate, glazed, plain, cream-filled, you go for it! 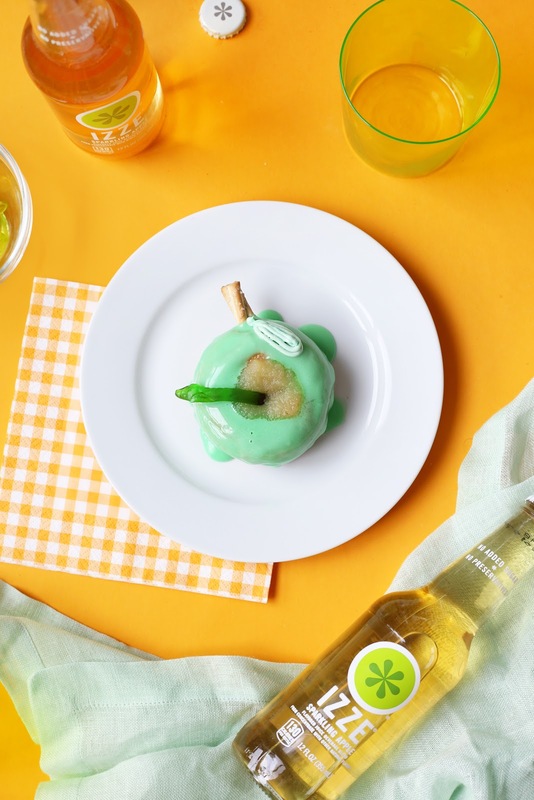 To create the apple look, just stir together confectioners' sugar and IZZE Sparkling Apple to create a glaze. I love the sweet, tart, green-apple taste of IZZE. It's seriously perfect for this! A drop of green food coloring (or black / brown food coloring if you're feeling extra creepy) completes the look! To me, the perfect dessert idea only uses things you can find in the regular grocery store. I don't always have the time for a special trip to Michael's or Party City. That's why, for the rest of the apple decoration, all you need are pretzels, apple sauce and gummy worms. 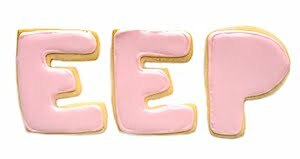 If you're really feeling fancy, you could always use frosting to pipe on an apple leaf or other decorations. It's completely up to you! 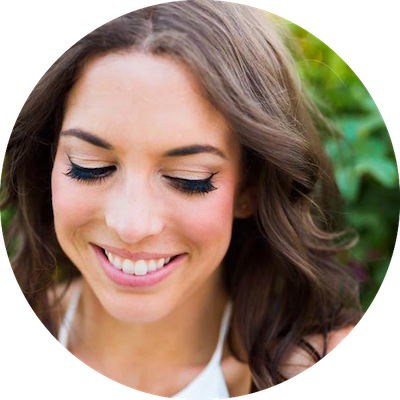 Make these as easy or as intricate as you'd like! I could see little ones freaking out over this "gross" Halloween treat, couldn't you!? They look super slimy and spooky but they taste amazing! 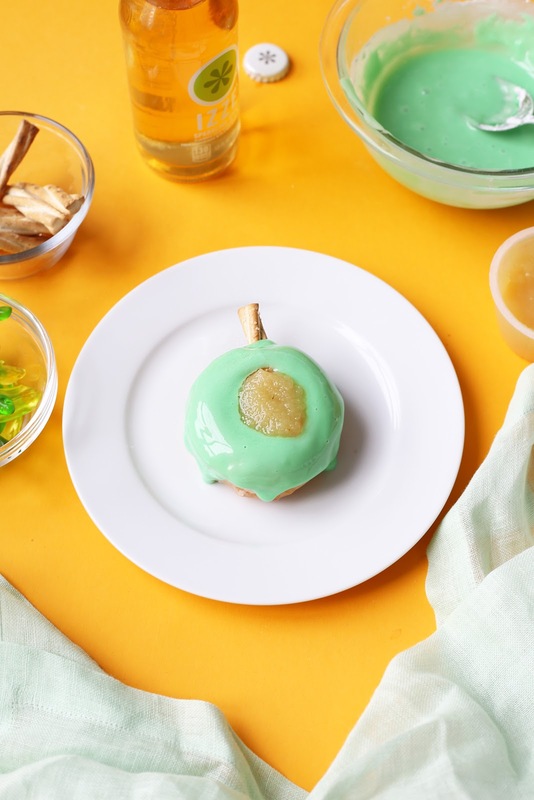 Who doesn't love green-apple!? And who can say no to donut!? 1. 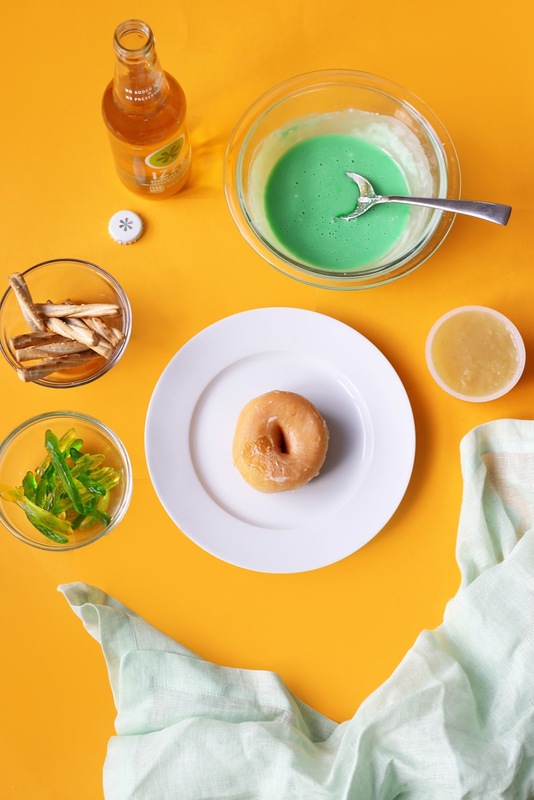 Divide the donuts among plates or arrange on a baking sheet lined with parchment paper. 2. Put the confectioners' sugar in bowl. 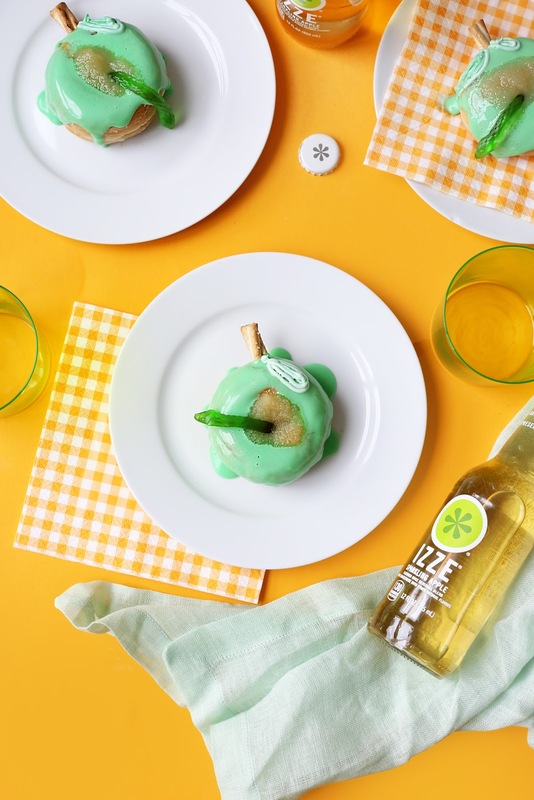 Slowly whisk in a little bit of IZZE Sparkling Apple (you only need a few tablespoons) until you reach the glaze consistency you'd like; set aside. Stir in green food coloring, if desired. 3. 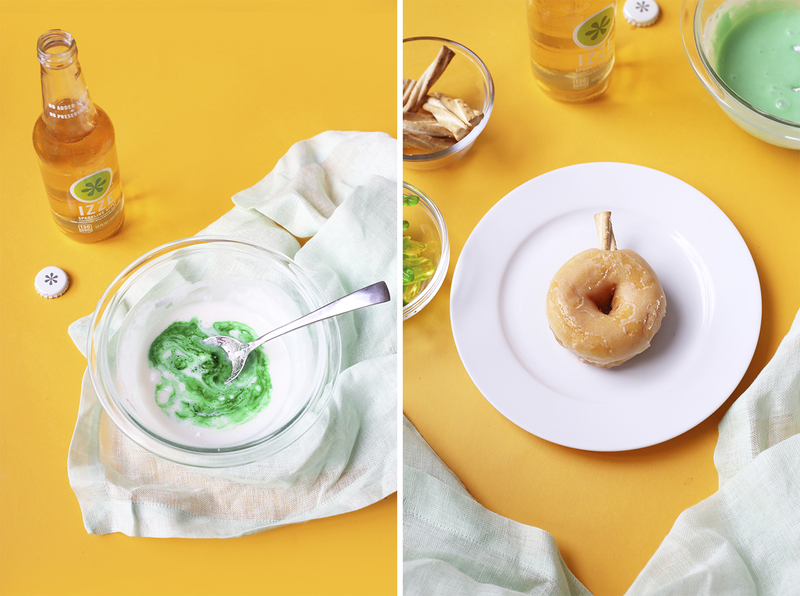 Insert a pretzel into each donut for an apple stem. Spoon a small scoop of apple sauce into the center of each donut. Add a gummy worm.